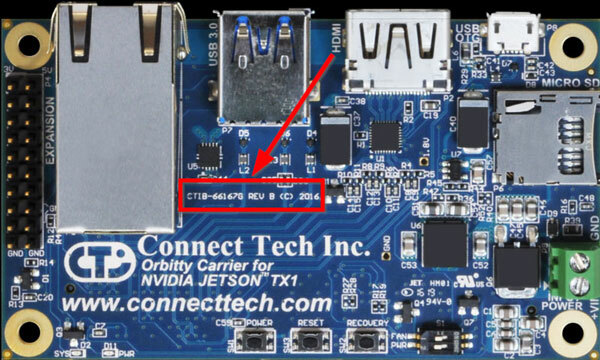 kdb344: CTI NVIDIA® Jetson™ Carrier Board TX2 / TX1 Compatibility - Connect Tech Inc. 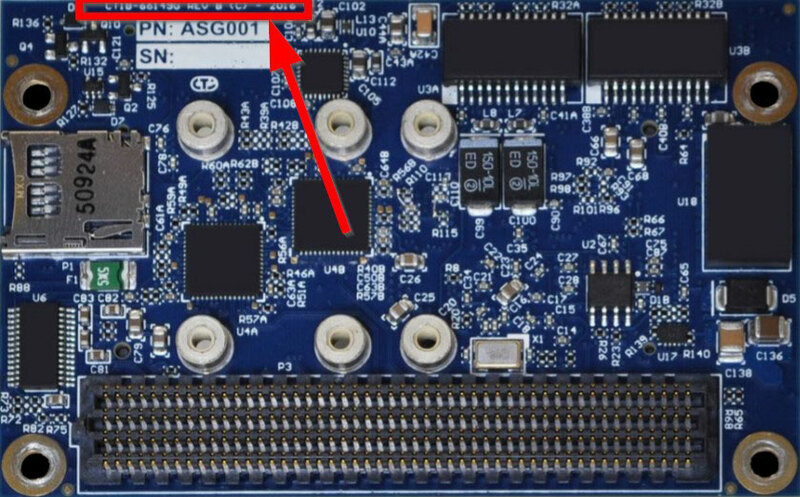 The NVIDIA Jetson TX2 module is the latest AI supercomputer on a module, powered by NVIDIA Pascal™ architecture. The TX2 packs significant performance into a small, power-efficient form factor that’s ideal for intelligent edge devices like robots, drones, smart cameras, and portable medical devices. 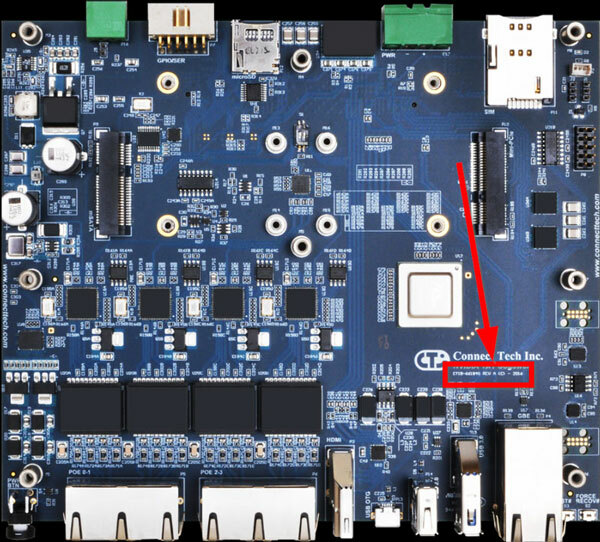 It supports all the features of the Jetson TX1 module while enabling larger, more complex deep neural networks. 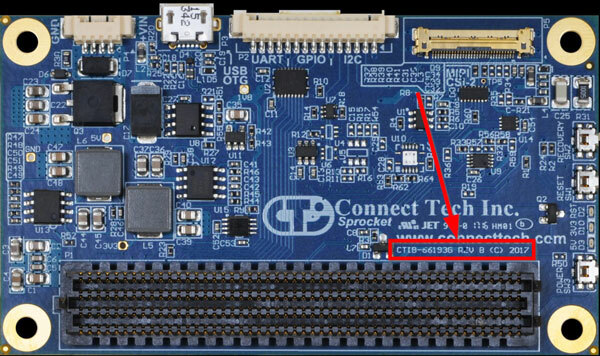 Connect Tech has now developed 6 different carrier board products to support the NVIDIA Jetson TX2 and TX1 modules. 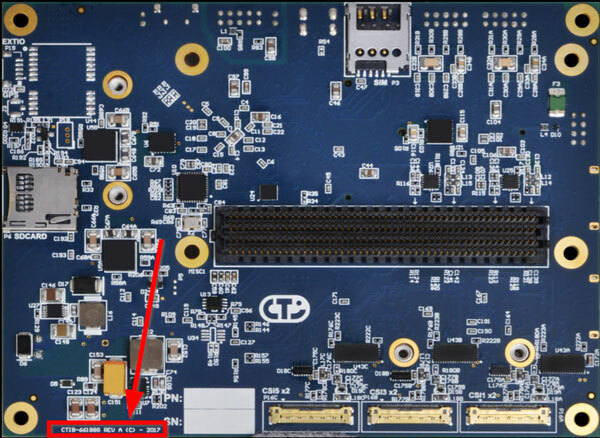 Three of these carrier boards were designed and released prior to the release of the NVIDIA Jetson TX2 module, and with the release of the TX2 module came some architecture changes to underlying interconnect of the high-speed lanes. 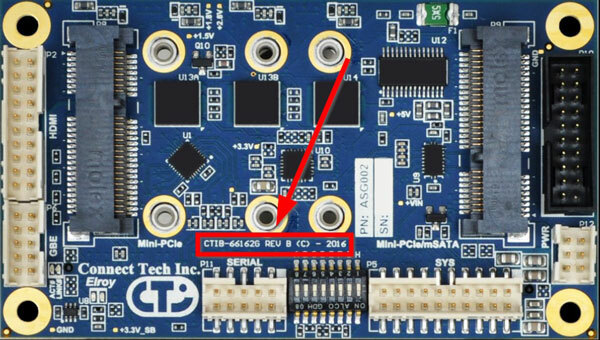 This means that some of CTI’s carrier boards that were designed before the TX2 release, will be undergoing PCB hardware revisions to fully support both the TX2 and TX1 architectures. 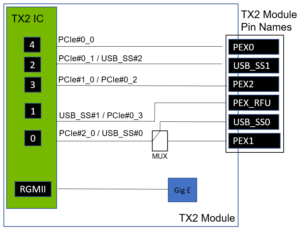 These previous hardware revisions will still function with both the TX2 and the TX1 modules, but this KDB will serve as a compatibility reference to detail what features can actually be used in a user’s end application. The major change effecting compatibility between the NVIDIA Jetson TX1 and TX2 modules pertains to the high-speed lane mapping on the TX2 module. 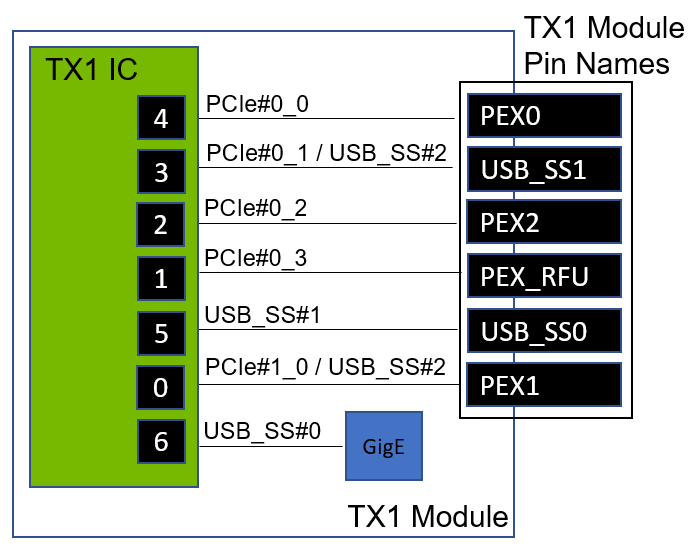 As shown below the NVIDIA Jetson TX1 module has 6 dedicated lanes sourced directly from the TX1 IC. 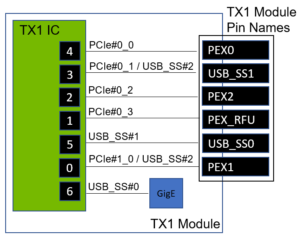 Where now the NVIDIA Jetson TX2 module only has 5 lanes sourced from the TX2 IC, so that now the use of the USB_SS0 and PEX1 lanes are mutually exclusive.